Since the late 19th century, the Mafia has been a presence in North America using intimidation and worse to exert its control over organized crime in the major cities and beyond - anything from loansharking to bootlegging during Prohibition to extortion, kidnapping and racketerring. For the Mob (as they are also known), crime was big business. 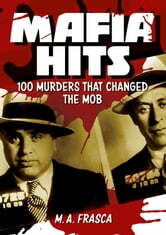 Feuds between Mafia families and their associates led to Lucky Luciano, the preeminent Mob boss, creating the Commission, which to this day rules over Mob activity and disputes. Throughout the 20th century, the ruthlessness of the Mafia has been in evidence: the list of Mob victims seems endless. 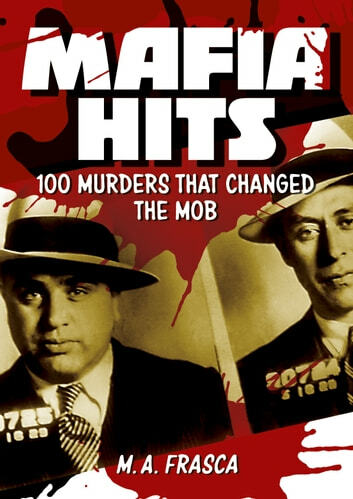 Mafia Hits recalls the most important executions - the rival bosses, the stool pigeons and snitches, the good cops and the dirty cops, the vicious feuds and the hit-men who lived by the gun and died by it. All are here in this fascinating tale of the American underworld.